Angela is a medical doctor and CEO and co-founder of her company Clearhead. Clearhead is a tech startup building a one-stop-shop platform to help every New Zealander achieve mental wellbeing. Angela took up the role of Chair in March 2019. Angela is passionate about improving health care systems to deliver better health outcomes for all. Her latest research understanding how social deprivation plays a part in ethnic disparity was completed at the Harvard School of Public Health. She is a strong advocate of preventive health and tackling the social determinants of health. She also believes NZ has the potential to fully develop an innovative knowledge based economy. Both those reasons are why she is excited to be a part of the 20/20 Trust and help improve the digital literacy of all New Zealanders. Her commitment to giving back to her community also sees her on the board of Inspiring Stories Trust and the Moko Foundation. The Ministry for Women’s Inspiring Women stories has captured her leadership journey and she was a finalist of the Young New Zealander of the Year in 2017. Selwyn Screen has a wealth of knowledge, especially working within the not-for-profit sector, both at a senior management and governance level. His experience includes, senior management roles, more recently 16 years service as CEO for a not-for-profit finance co operative, and governance roles including 5 years as chairman for a very successful Maori based credit union. Selwyn now works as a strategic governance consultant, calling on his broad range of experiences and technical skills, to assist Chairs, board, and Senior Management teams to achieve their desired outcomes for the organisations that they lead and serve. He has worked with iwi, not-for-profits, sports organisations and commercial entities. His credentials include successful restructures of numerous organisations, including the use of merges and acquisitions. Selwyn has a business degree from MIT a C.A qualification and a MBA from Otago University. He is married with four children and has a good understanding of tikanga Maori, being of Maori descent himself. Selwyn enjoys a balanced lifestyle of work, family and physical activity including golf and running. He was brought up on farms working with animals and machinery which adds to his broad knowledge and he is comfortable in any setting, white collar functions, on the marae or just chatting with the locals at the pub. David is an experienced and valued communications professional, with many years involvement in both the central government and the community and voluntary sectors. He is passionate about technology – especially the web as a key business tool for any organisation. David has been involved in community sector ICT for some years, focusing on important issues for the sector and getting something done about them. In this previous role, David promoted several ICT capacity-building initiatives, such as TechSoup NZ, being keen to facilitate awareness about and access to ICT tools to the benefit of all sector groups. He has more recently been involved in promoting access to and the value of public libraries to our communities. Libraries nowadays play a crucial part in growing digital literacy in local communities and this activity fits well with the Trust’s ambitions. He is now back in the government sector in a communications and IT management role working to promote and progress accounting and assurance standards across business, government and not-for-profit sectors. David sees his role with the Trust as one where he can actively focus on ICT proficiency, access and usage throughout our communities. He has been active in exploring with government and other players ways to grow community sector ICT competence and how problems might be better addressed. He is also a strong believer in bringing training and skill development opportunities to community organisations and certainly in the communities they serve to ensure digital inclusion for all New Zealanders. 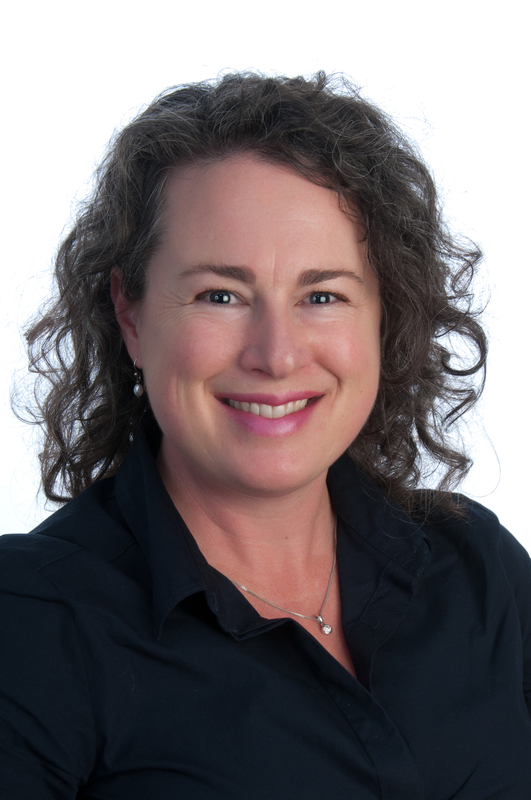 Catherine has worked in New Zealand and Victoria’s respective state sectors for twenty years. She has a wide range of skills and expertise, and a strong background in strategic and advisory services. Many of the assignments Catherine has completed have been in support of senior leaders and executive teams, and on behalf of government ministers. the societal and economic inequalities and inequities related to the advent of digital technologies. Last year Catherine completed a Master of e-Government (Distinction) with Victoria University of Wellington’s School of Government. She graduated with an MBA from Mt Eliza Business School in Melbourne in 2005, and holds a Bachelor of Science (Honours), also from Victoria University. Catherine has previously held justice sector information and research governance roles. She is a member of the Institute of Directors. She is also a regular participant in Victoria University’s alumni mentoring programme. Angela has worked in the New Zealand state sector for many years, including in senior leadership roles in the Department of Internal Affairs and in The Treasury. Angela has sponsored a number of large IT projects in the government sector. Since 2010 Angela has been working in governance and consulting and has held a number of Crown entity board appointments. She is currently a Director of Fire Super Trustee Ltd and Chair of the Risk and Assurance Committee of the Ministry of Transport. 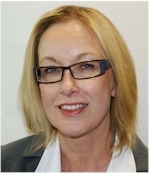 Angela is a Chartered Member of the Institute of Directors New Zealand. Laurence is an independent advisor in the use of ICT by governments. His career has included work in the public and private sector, in the UK, USA, Europe, Asia, Australia and New Zealand. From 2004, he led the New Zealand e-government programme providing leadership in strategy and policy, establishing a foundation of shared infrastructure, and maintaining oversight of government ICT investment; he finished in the role of NZ Government CIO on 1 May 2009. Since then, he has provided ICT advice to governments in the Middle East, Europe and Asia. In the New Zealand education sector, he worked as a strategic advisor to Broadband in Schools programme, which led to the establishment of N4L Ltd, and as independent expert advisor to the Parliament Select Committee inquiry into 21st century learning environment and digital literacy. 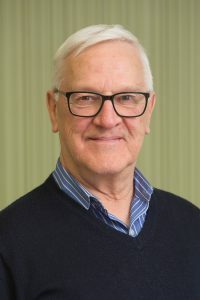 Laurence became a trustee in 2009, because he feels there is a critical need for stronger leadership for the use of ICT by all New Zealanders, and that 20/20 Trust is well placed to provide that leadership. Laurence is also interim Executive Director of the Trust.